The Lumineers have lined up a UK & Ireland arena tour for November 2019. 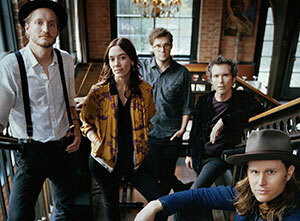 The American folk rock band will play shows in Glasgow, Manchester, London and Dublin as part of a world tour in support of their third studio album. How to buy The Lumineers tickets? Tickets for The Lumineers' 2019 UK tour dates went on general sale on Friday 12th April, priced from £27.50 plus fees, at Ticketmaster.co.uk and SeeTickets.com.